Scentsation Bloggers Meetup - Valentines Day Special!! "Love is an art which comes from the Heart"
As the tag line says, the post is all about Valentines Day and the fun activities and gift ideas for all the love birds and the loved ones. Scentsation being the multi brand store, and being pioneer in perfumery & cosmetics retail industry is associated with the occasion of Valentine's like a synonym. 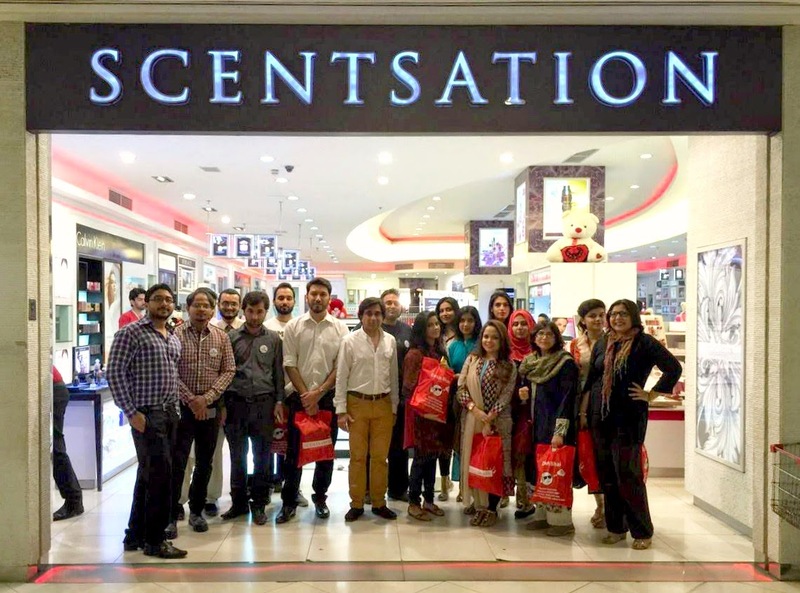 On 6th February 2015, Scentsation arranged a pre-valentine Blogger's Meetup at Scentsation, Dolmen Mall Clifton followed by a dinner at Gun Smoke. 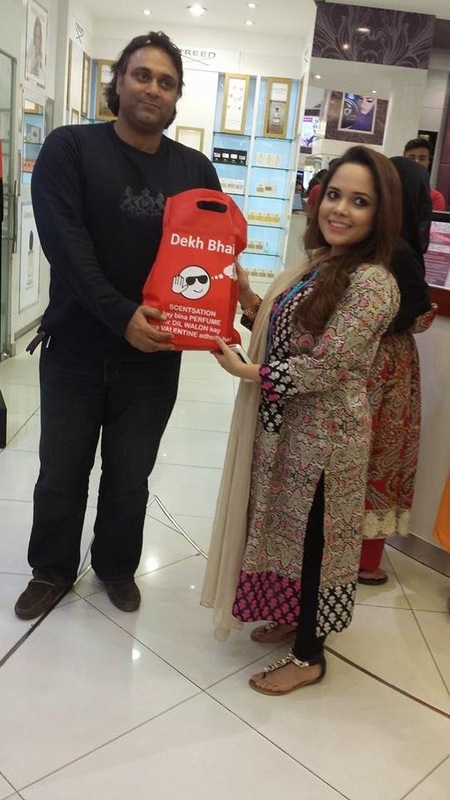 The idea behind the meetup was to introduce us to Valentines Day gift sets & ideas Scentsation put together to make this day special and memorable. Scentsation has been celebrating Valentines Day since 5 years with customized love baskets including plush toys, chocolates, cards, candles and of course perfumes and cosmetics. This time Scentsation came up with a different and more personalized idea of gifting the loved ones with pictures, names, messages etc. 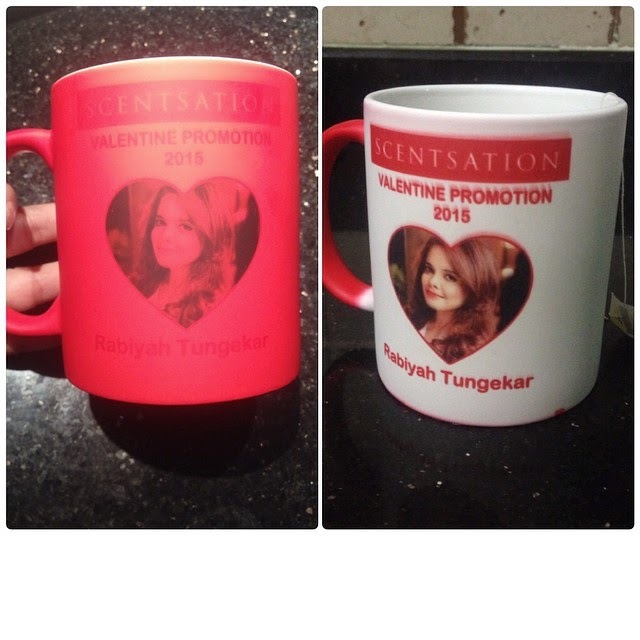 For Valentines day, you can get your customized magic mugs, customized T-shirts and badges, notebooks, key-chains etc. then and there! My favorite out of all will be the the color changing mug, because of the color that is appropriate for Valentines day and it being customized with a picture and personal message. 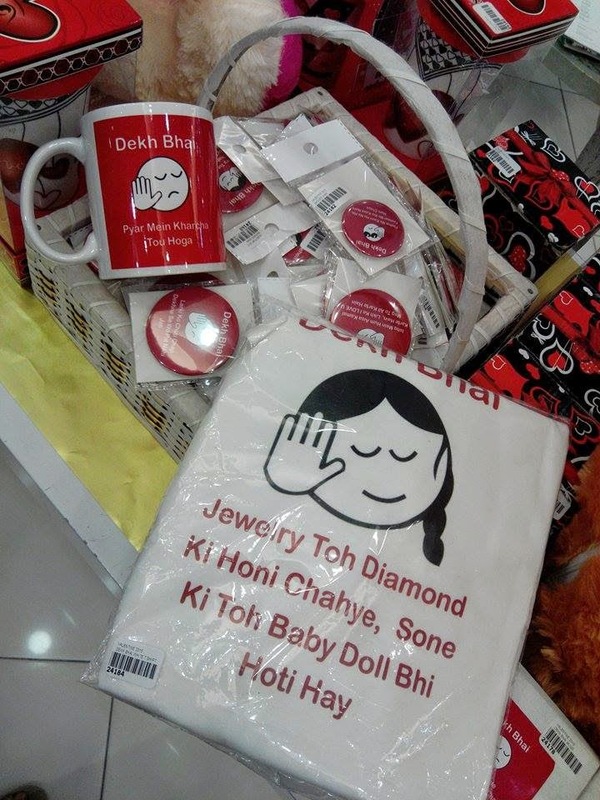 The key chains, badges and T-shirts of "Dekh Bhai" theme are funny and cute, and I personally would like to give them to my friends. Overall, the idea is different, funny and cute. This is one of the mega events for which, people look forward to Scentsation for its out-of-the-box ideas to make their loved ones feel special & pampered. Do check out Scentsation for Valentines Day gifts!! What I got in the goodie bag? Check my Instagram (@rabeeyaht). If you buy anything from Scentsation, don't forget to tag me. thats one pretty lady on that mug!